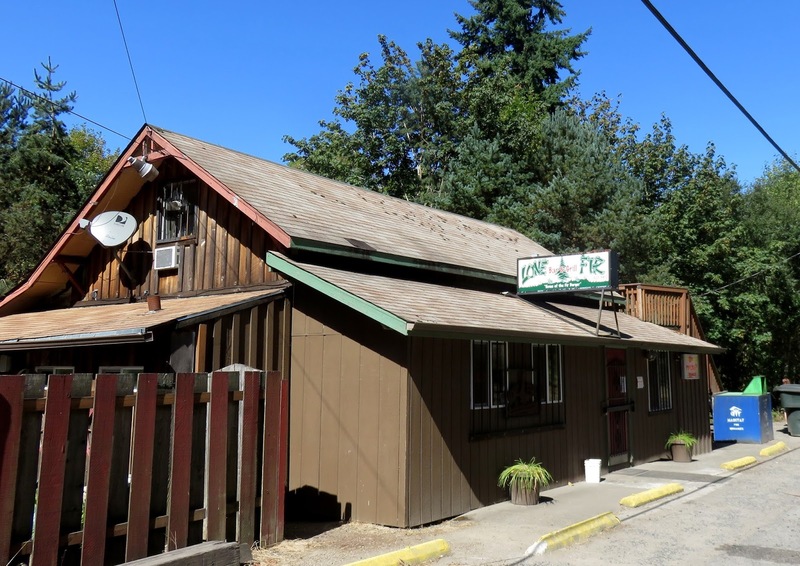 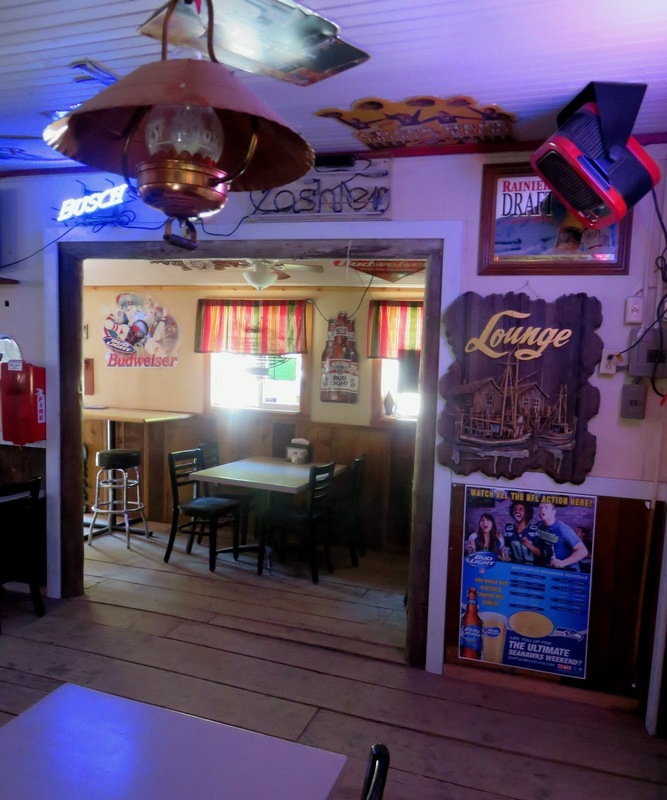 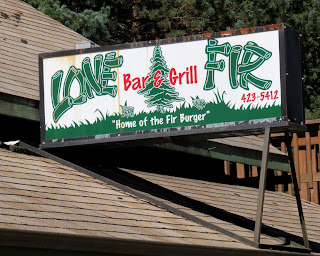 The folks at the Lone Fir told me it is the "oldest bar in Cowlitz County," which is exactly what the folks told me at the bar we visited just before this. 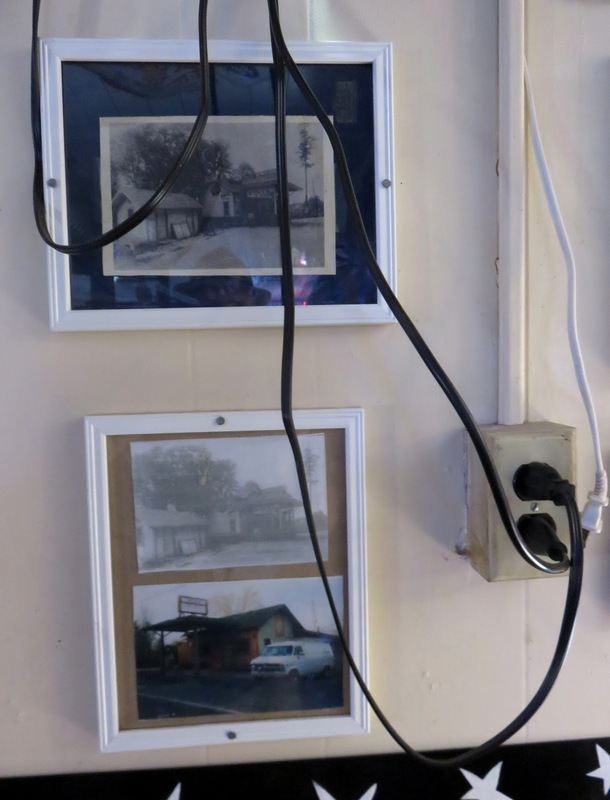 However, in the case of the Lone Fir, they have photos right on the wall from when it started out as a gas station, to adding a tavern, and eventually converting completly to a bar. 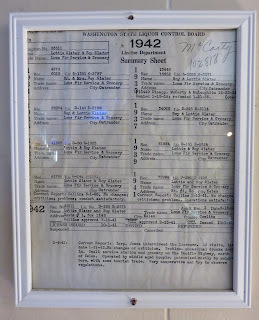 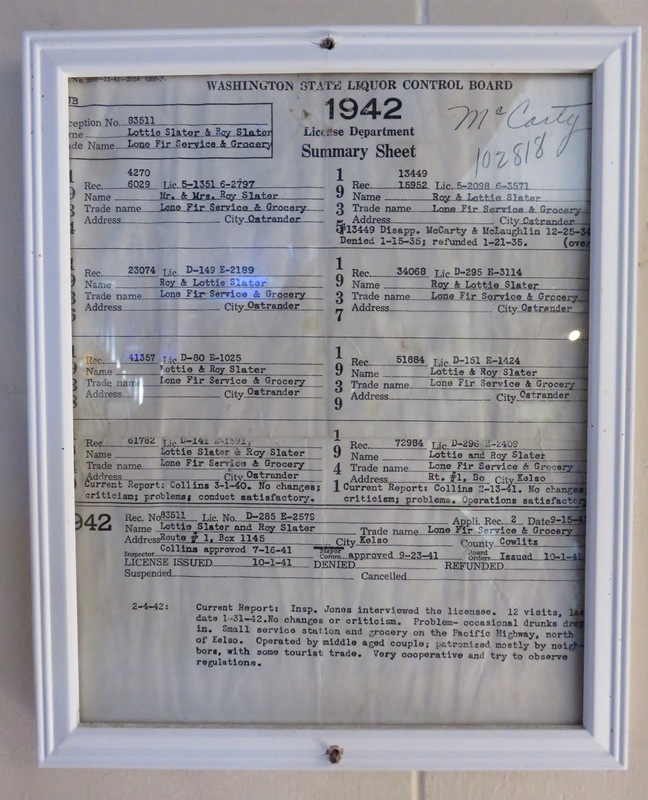 Also on the wall is a liquor license dating back to 1934, the year after prohibition (among the notes added by the licensing official, "Problem -- occasional drunks drop in."). 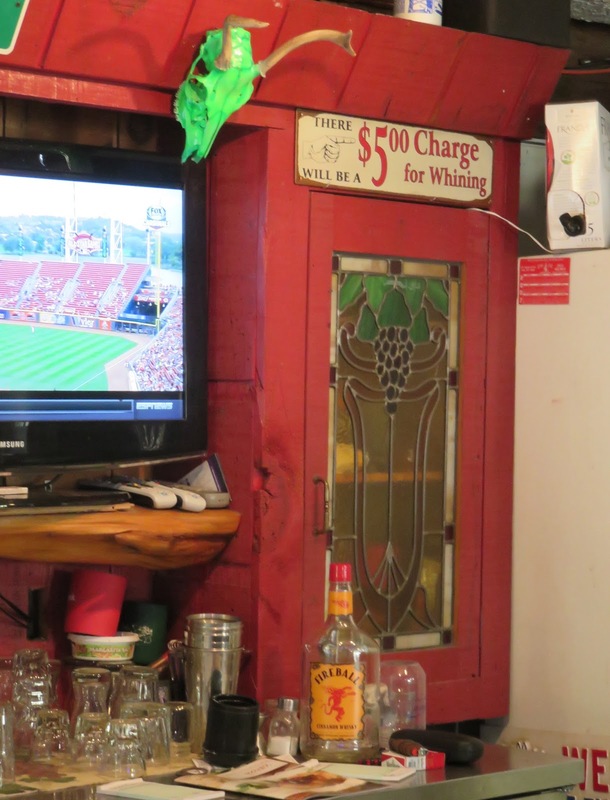 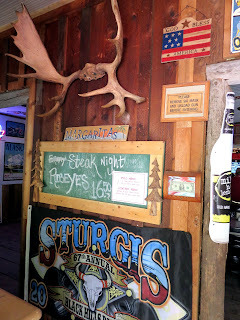 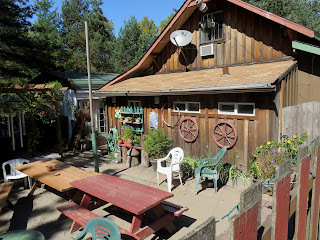 But regardless of age, it is a beauty of a a backwoods bar, just 1500 feet from I-5 but it feels like a joint you stumbled upon after a long drive through the mountains. 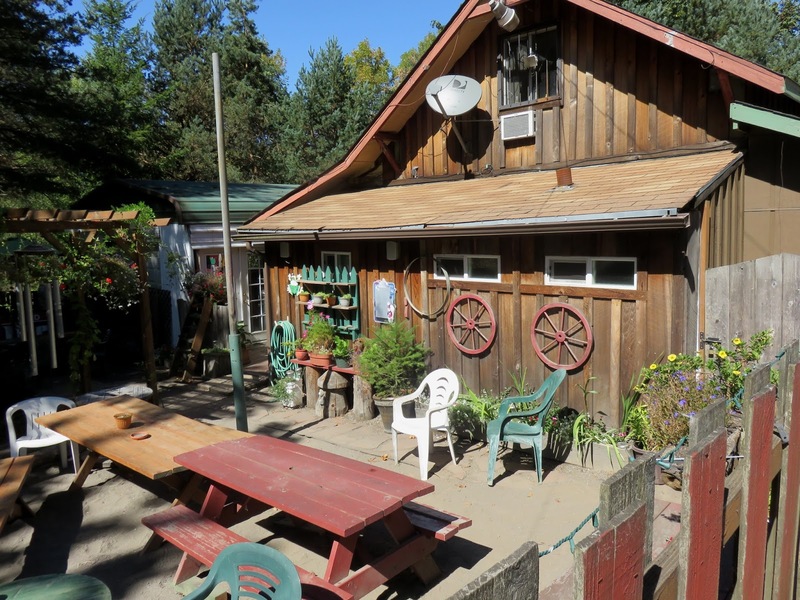 In addition to the cabin-like feeling of the building they have a large outdoor patio with a fire pit, conestoga wagon wheels, picnic tables and ample seating. 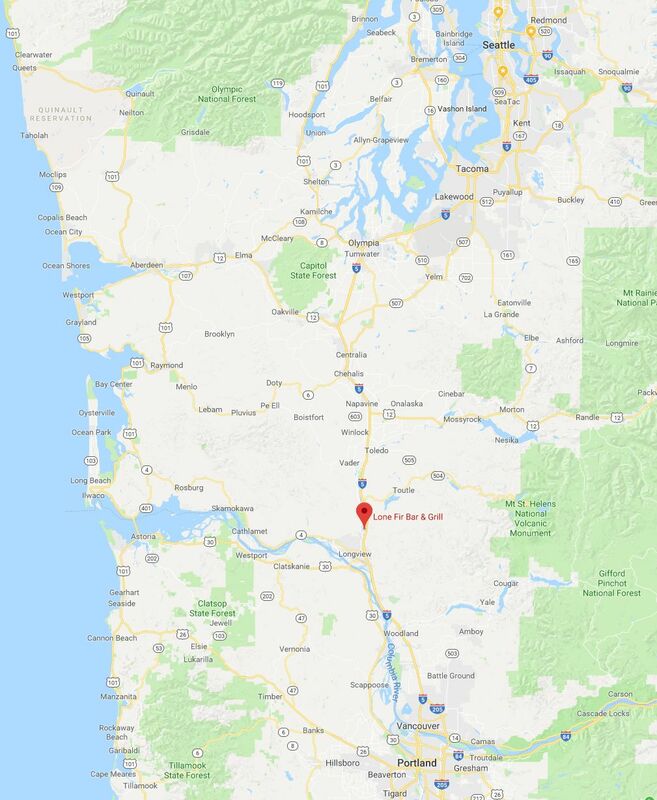 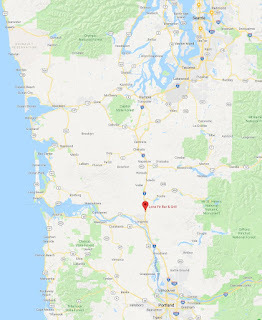 They have friendly people, genuine old geezers hanging out during the day, live music on weekends, free chili dogs during Seahawks games, and a potluck dinner at Christmas time. I would love to have a bar like this within a few miles of my town.